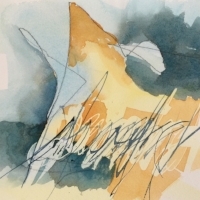 The 2019 Wilmington Art Association 37th Annual Juried Spring Art Show and Sale (whew!) opened on Saturday, March 30 and runs to Sunday, April 7. It’s the official art show of the North Carolina Azalea Festival and is held at the Hannah Block Historic USO/Community Arts Center, 2nd and Orange Streets in Wilmington, North Carolina. I was delighted to have both my paintings juried in this year and very happy to be awarded for one of the paintings (Wise Path pictured above). Parting Storm is pictured below. The juror and judge for this year’s show is Dan Nelson of Raleigh. He spent a lot of time judging the show and also conducting an informative walk about for the artists on Saturday morning where he offered much encouragement and constructive input to artists in attendance. The show includes a Fine Art Drawing (FAD) which will be awarded at a FAD Party on Friday, April 5. Tickets are on sale during the show this week. There are so many wonderful pieces on display, so be sure to get to the show this week if you can. Mural from Wise Path a watercolor by Adrienne Watts. 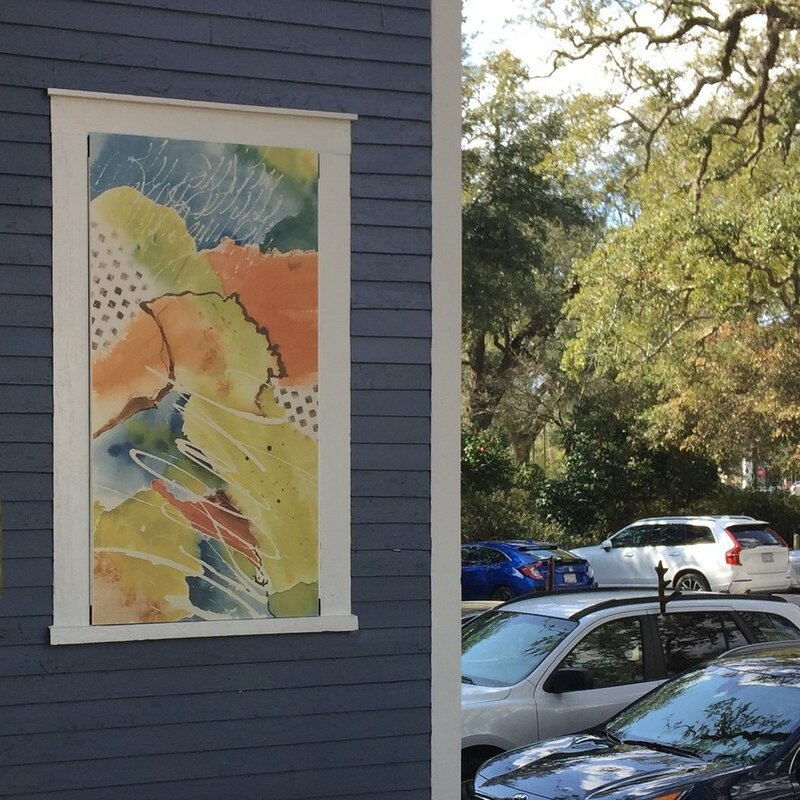 I’m delighted to have been selected to have a mural made from a recent watercolor for the exterior murals at Franklin Square Gallery in Southport, NC. Above is my artwork, Wise Path. The original is 9” x 20” and was enlarged to 24” x 48” for the mural. In addition to mine, the murals currently on display are by Ricki Hiatt, Lori Sall, and Robin VanVliet. The Spring murals are on display now and will be changed out in June. Images from exhibit at Wilmington Dental Excellence, 1307 Medical Center Drive, Wilmington. Thanks to Art Friendly and the Wilmington Art Association, I have had the opportunity to exhibit my artwork along with another Wilmington artist, Marty Relan, during the last few months. The artwork is at Dr. Don DiGuilian’s office - Wilmington Dental Excellence. These are a few of the pieces on display through March 31, 2019. I had the pleasure of attending Art of the Carolinas in Raleigh in November. This annual event is produced by Jerry’s Artarama and provides a three day sale by Jerry’s and other vendors; there are great prices on all kinds of art supplies. The best part of Art of the Carolinas, though, is the ability to take a day or half day workshop, watch demonstrations, etc. where you can try new things and see techniques, supplies and mediums that you’re not familiar with. My favorite workshop this year was an oil and cold wax exploration with Jeff Erickson, a very talented artist. I’ve never worked with oil & cold wax before, but had fun trying it. Scroll down for some of the resulting pieces. On October 26, 2018, Susan, Donna, Meroe and I opened our new studio at the Artworks, 200 Willard Street, Wilmington, North Carolina. We still have art to hang, studio furniture to move in, and a lot of details to work out, but we’re happy that we were able to get open for Fourth Friday Art Walk. Artworks is open to the public Fridays 10 am - 6 pm and Saturdays 10 am - 3 pm. Please use the contact page if you would like to come by other than during public hours. The sign that hangs just outside our studio. Having lived in southeastern North Carolina for over twenty years, I have to say that Hurricane Florence was the most unsettling storm I’ve experienced. Our newly-adopted Forest Hills neighborhood has older homes and many magnificent trees - live oaks, magnolias, long leaf pines and others. We were fortunate to have very minor damage, but some in our immediate area were not so lucky. Many trees came down, some through power lines and poles, some unfortunately through roofs. Further from our immediate area, but by no means far away, people have lost their homes, their vehicles, their belongings and in a few cases, their lives. First responders and others in our area have worked very hard to get us back to normal.. or a new normal. The storm hit on September 14, and the FEMA office around the corner from my home at an empty mall store has just closed a day ago. Two art shows were rescheduled and it is good to get back to a somewhat normal routine, including working in the studio instead of picking up the yard and waiting in que at the grocery store. Sunspots is bright and cheerful, which is what was needed as I painted it in the last week. It’s for sale in Gallery #2 on this website. These paintings were finished this week. I'm not an accountant any more, but I can still work with numbers and have fun doing it! I’ve added my work to Franklin Square Gallery in Southport, NC this week. There are framed pieces, unframed originals, and notecards for sale - mine and many other artists. The artists at Franklin Square Gallery are from southeastern North Carolina - Wilmington to Pinehurst and even Myrtle Beach, SC. This is a unique gallery located in historic Southport and is run by the artists of the Associated Artists of Southport. The gallery is full of paintings and pottery and is well worth a visit. Some of the original unframed artwork I took to the gallery is pictured above and below. My goal is to update this blog weekly and I'm a few days late... It's been a busy studio week. I've worked on two larger paintings, four small works, and three middle sized ones that aren't finished. That's always the interesting part of creating artwork... "Is it finished?" For myself, I've found that when I ask myself that question, that's the time I need to put the brush down and walk away from the studio. It gives me a little perspective when I go back later and look again. I'll either see where the painting needs more work, or feel that, yep, it is in fact.... finished. Port City Java Hangs Local Art! A fellow artist shared a call for artists from Port City Java on Facebook. I checked out the different locations and put together a submission at the end of June. Before July 4th, I got an acceptance call from the manager at the Lumina Station Port City Java. 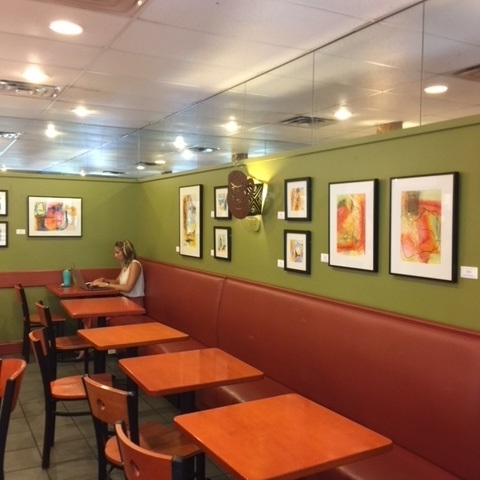 The artwork was hung on Tuesday, July 10. Stop by and see it when you get a chance. Check out the paintings currently displayed at Sunset River Marketplace in Calabash, NC! These were hung last week. I've known Ginny Lassiter for years and am thrilled to be among the very talented artists she has chosen for her lovely gallery. It's about an hour from Wilmington, so if you are in that part of Brunswick County, stop in and see it. In an effort to document my artwork, I created a website adriennewattsart.com. I worked on the site myself during June and it went live June 10, 2018. I'll update it as needed and commit to blogging weekly for now. Have a look around... Use the contact tab from the menu to let me know what you think or to inquire about a particular piece of work.